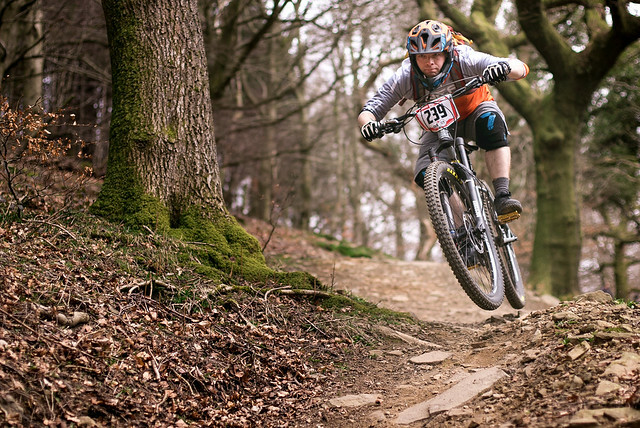 Sunday 20th March saw Round 3 of the Welsh Gravity Enduro series take place at Cwmcarn forest in South Wales. For 2016 the series is in the Mash Up format, meaning you can ride the stages in any order and as many times as you like within the live timing period from 10am to 3pm. This results in a relaxed atmosphere but with some very close exciting racing, as mistakes can be ironed out on another run. The stages were a mix of smooth dirt trails and rocky trails, with one stage including the Pedalhounds Downhill Course, a super fast trail with big high speed rocky berms and jumps. I was racing my new Cotic BFe275, replacing my previous BFe26. I felt comfortable on the new bike and found the new OFI geometry much more suited to my size and riding style. It provided me with plenty of confidence to hit the jumps and rocky berms at speed. As the timing period ended I knew I had been hovering around 5th place due to the live timing available throughout the day so I was hoping for a top 5 finish, but I ended up 7th in cat, taking my usual place in the middle of the field. A great days racing and enjoyable format at a very well run event. 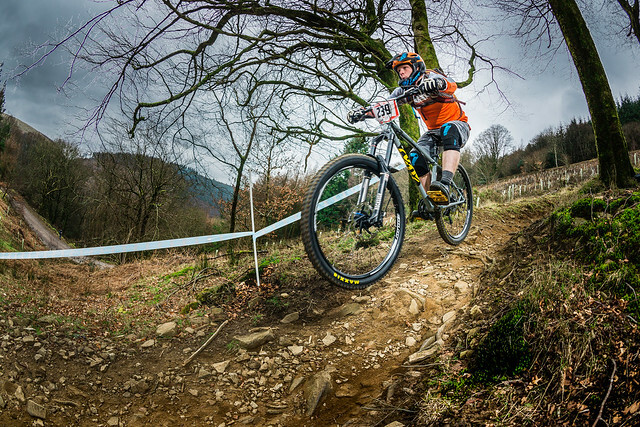 Now looking forward to the next round at Afan on 10th April.